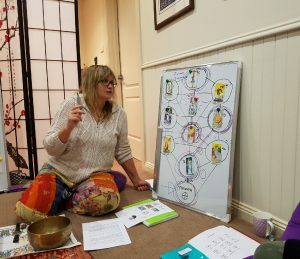 Why learn Kabbalah? 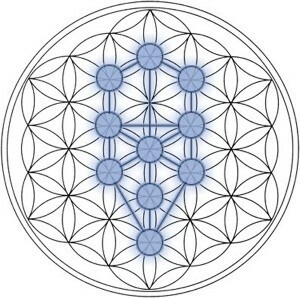 Kabbalah teaches a structured meditation. It utilises sound (chanting) and visual images (symbols and the tarot). It also works with your personal astrology. Each of us holds inside, our own map of consciousness. This contains valuable information about who we are. How we came to be where we are now, what our fears and limitations are, and so what possibilities are available to us. When you learn Kabbalah in a course you will use the structure of the Tree of Life and your personal astrology to reveal your inner maps. You will learn to work with them, so you can understand yourself and know your place and purpose in the cosmos. Increased enjoyment as it gives the conscious mind an opportunity to relax. Stretches and improves the imagination. Develops the ability to work with symbols. Awakens hidden skills, ideas and inspirations. Intensifies communication between levels of our consciousness. Satisfies the intellect whilst helping develop a feeling state of being. Helps us become consciously aware of synchronicities. Brings greater trust in ourselves and in our intuition. Develops a greater feeling of connection to all that is around us. Leads to a more expansive way of being. Kabbalah has always been studied and used to initiate change within ourselves and thus also within our environment. Change does not come from life itself. Change comes from living that life and by acting upon and within it. Kabbalah helps us do this. Kabbalah is a powerful tool for understanding your life path and learning to work with energy. We westerners have looked to the “east” for their philosophical teachings when actually we have our very own western esoteric system which can be traced beyond Hebrew times. In the first year of study you will be working with the Tree of Life and your personal astrology. You will be learning to feel the personal energies you currently work in this incarnation. In the second year of study you will be introduced to the constellations, the solstices and equinoxes and you will learn how to feel and work with the energies of the heavens. There will be optional homework given to enhance your experience.